The New York Jets are awful. They have lost three straight games and now sit at 3-6 on the year. They rank in the bottom half of the NFL in every statistic worth knowing aside from opponent passing yardage. Their coach is reportedly melting down under the weight of his team’s pure, unfiltered horribleness. And now, as expected, players are beginning to turn on each other. In response to rumors that Tim Tebow may replace Mark Sanchez at starting quarterback, a ton of unnamed players (and a single named one) stepped up and absolutely destsroyed Tebow to the New York Daily News. “He’s terrible,” a defensive starter said. “We can’t win running that sh--,” a different guy said, of Tebow running the Wildcat. 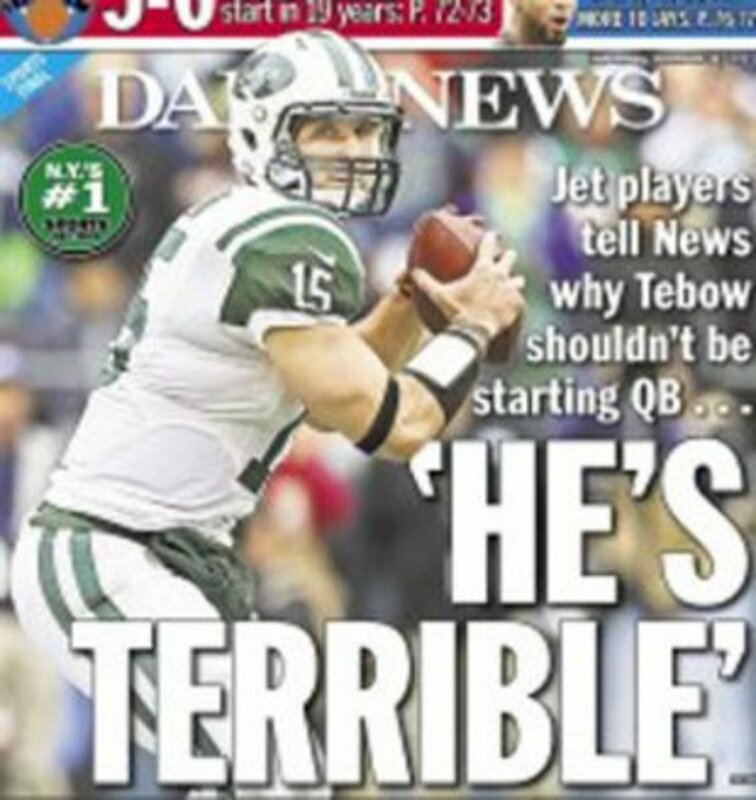 The Jets wanted attention when they traded for Tim Tebow this summer. They had a ton of holes to fill before they were ravaged by injuries; instead of filling the holes, ownership decided to steal some headlines. Well, congratulations – mission accomplished. Why Won&apos;t the Jets Bench Mark Sanchez, Start Tim Tebow?